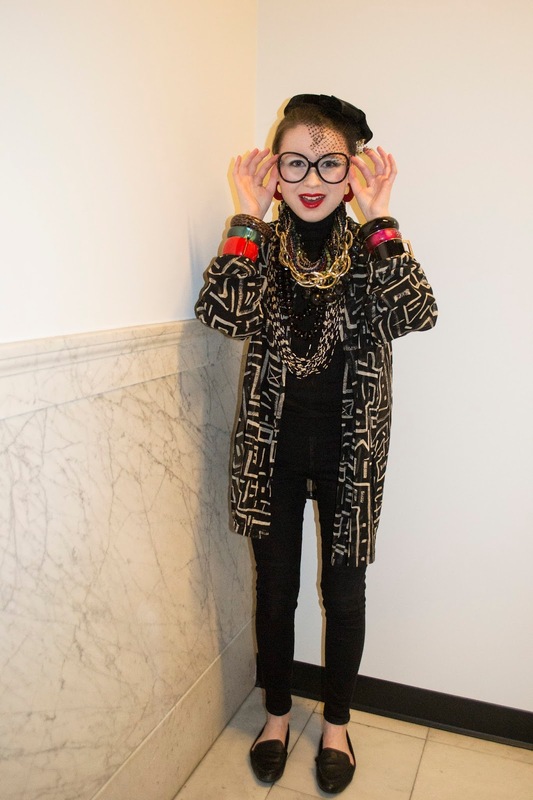 This year, I went as fashion icon Iris Apfel for Halloween. She is one of my biggest inspirations when it comes to personal style. 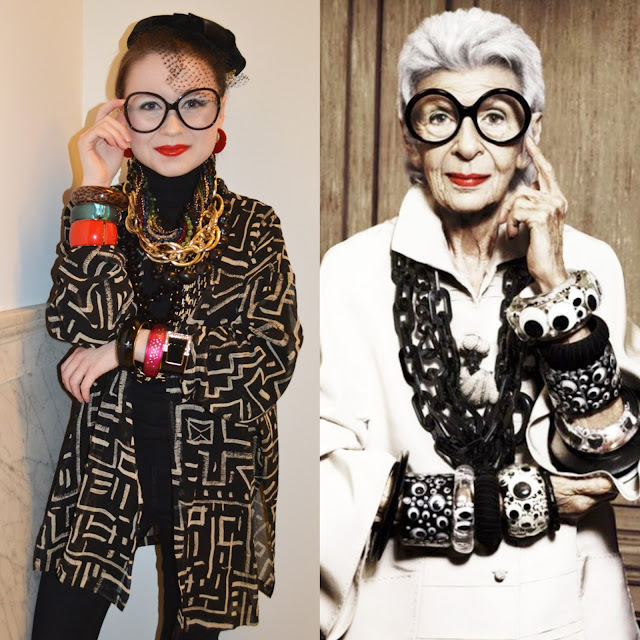 I love how Iris isn't afraid to take risks and has created her own, unique identity using clothes and accessories. Big, round glasses, layered necklaces and bangles stacked up and down each arm are her trademarks. It's no surprise Iris' clothing and jewelry collection is recognized as one of the best in the world. If you haven't watched her documentary on Netflix, I highly recommend it. I recreated Iris' look by pulling from my own closet, my mom's treasure trove of a jewelry box and thrifting at Savers. I removed the lenses from of a pair of sunglasses I found at Marshall's to complete the persona. Becoming Iris Apfel made me think about the way I see fashion. 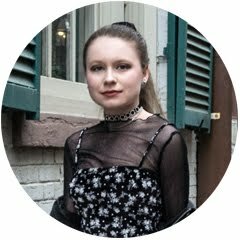 The base of my costume, a simple black turtleneck and jeans, were a blank canvas to color myself in statement-making jewelry. With each bangle and necklace, I was adding another element to the canvas. I made sure each component of my outfit served a creative purpose. Dressing up became an art form. "There's no how-to road map to style. It's about self-expression and, above all, attitude." "If you make a mistake in what you put together, the fashion police are not going to haul you into jail." "I say, dress for yourself. Listen to your inner muse and take a chance. Wear something that says, 'here I am' today." You just made my day! I have wanted to see her doc. and I was going to buy it from amazon! I love how free spirited she is. We should all try to embrace a little of that everyday. Great post! Awesome post!!! You look absolutely amazing! The art of fashion has definitely been lost it seams to be all about minimalism or the latest trend. I love dressing outside of the box like I used to back in school. It set the tone for my individuality. I'm slowly but surely coming out of that fashion trend box and making a statement by being different! I love her style and she is such a fashion icon!